JAMMU: BJP’s national general secretary and point man on Jammu and Kashmir, Ram Madhav is embarking on a “surprise” visit to Jammu and Kashmir tomorrow, even as party president Ravinder Raina, who is currently out of state, would be rushing to Jammu early this morning. However, top sources in the BJP confirmed that main aim of Madhav’s visit was to review and discuss the party’s preparations for forthcoming elections. The state unit of the BJP was informed about Ram Madhav’s visit late in the afternoon. “We were informed about Ram Madhav’s visit suddenly. Senior leaders of the party including state president Ravinder Raina and state general secretary (orgainsation) Ashok Kaul are out of station,” BJP state general secretary Yudhvir Sethi told The News Now adding, “Schedule for Ram Madhav’s Jammu visit regarding meetings with party leaders will be finalized tomorrow morning in a meeting”. Both state president and Ashok Kaul will reach Jammu tomorrow morning, Sethi said. 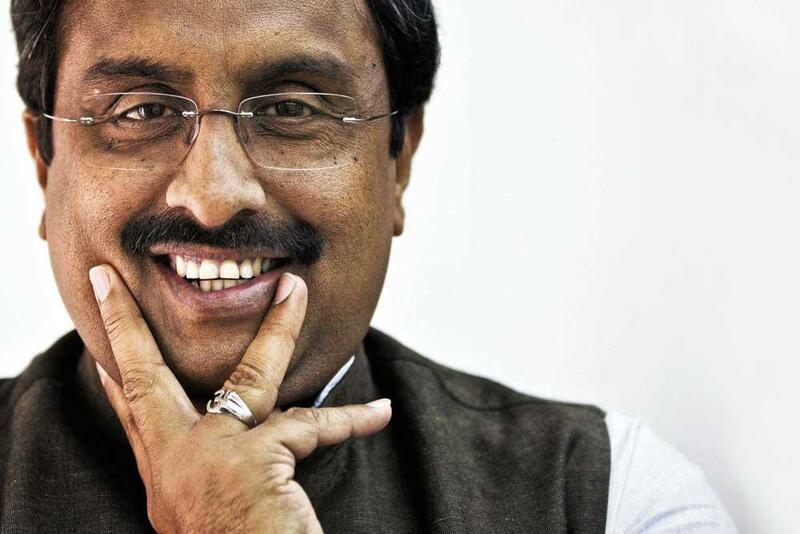 Meanwhile, sources said that Ram Madhav, who will reach Jammu tomorrow at 10 AM in the morning, will meet senior leaders of the state unit at the residence of former deputy chief minister Kavinder Gupta at around 3 PM in the afternoon. The senior leaders include the members of the party’s core group, state president, some former ministers including deputy chief minister and some former MLAs, sources said. “Madhav will get view point of the state unit on holding Assembly polls in the state, discuss party’s strategy for the elections besides reviewing party’s preparations for the elections,” sources said. Meanwhile, sources said that Madhav will meet the refugees, who have been not happy with the party for not fulfilling their demands. Pertinently, the refuges hold the key in the Parliamentary elections in both the seats of Jammu region i.e Jammu-Poonch and Kathua-Udhampur-Doda Parliamentary constituency. Sources said that Madhav will also meet the members of Pahari community to listen to their issues. Madhav will also meet members of Chamber and Commerce in the afternoon. Apart from Rama Madhav, BJP national vice-president Avinash Rai Khanna is also coming to Jammu tomorrow to discuss party’s preparations for the upcoming elections. Sources said that Khanna will hold also hold meeting with senior leaders of the party to discuss party’s preparations besides reviewing organizational programmes formulated by the party for the elections. Soon after his arrival, Madhav will hoist party’s flag at the residence of former deputy chief minister Kavinder Gupta as part of party’s “Mera Parivaar Bhajpa Parivaar” programme. Khanna will hoist party’s flag at the residence of JMC Mayor, Chander Mohan Gupta.